You can still buy a big car with a big trunk and air conditioning for about $7,000. 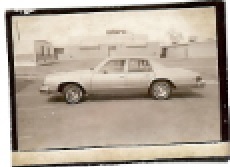 The car is Buick and the model is the 1978 LeSabre fur-door, which was provided by Deane Buick Co., 1080 S. Colorado Blvd. Since downsizing a year ago, the LeSabre’s dimensions aren’t what they used to be. Those older LeSabres gave an excellent highway ride. The ’78 models give a good ride and are easier to park. The roomy trunk has 21 cubic feet of space, making this car very suitable for a vacationing family. It was modestly equipped, which kept the price at the relatively low level.. The engine, a 350-cubic-inch V-8 with four-barrel carburetor, seemed sluggish . However, the car showed only 69 miles when John Ramstetter turned it over to me. Its gas mileage check were below EPA estimates. Town driving averaged 11 miles per gallon, though some of the miles were under adverse conditions during a snowstorm. The highway test was 15.4; these figures should improve as the engine loosens. Standard engine is a 231-cubic-inch V-6 with two-barrel carb. Base price of the four-door is $5,458.55, with a destination charge of $435. Among standard items were power steering and power brakes, glove box light and inside hood release. The 350 engine added $313 and other optional items included air conditioning $581, tinted glass $76, deluxe wheel covers $38, steel-belted radial tires $46 and AM radio $96. The LeSabre is 218 inches long on a wheelbase of 115.9 inches. Of Buick’s lineup of Skyhawk, Skylark, Riviera, LeSabre, Century, Electra and Regal, the LeSabre ranks as second-largest behind the Electra.